Some Tasman residents remain cut off as the country cleans up after former Cyclone Gita. Golden Bay residents have been advised by Civil Defence not to buy panic supplies, and to only buy fuel for the coming week to ensure there is enough for everyone. Food supplies would be delivered on Thursday following the closure of the Takaka Hill road, State Highway 60, which has left the community cut off. Local commercial air operators were still running services for those who want to fly into or out of Takaka, Civil Defence said. The storm wreaked chaos through the middle part of the country, causing flooding, road closures and the cancellation and delay of several flights. 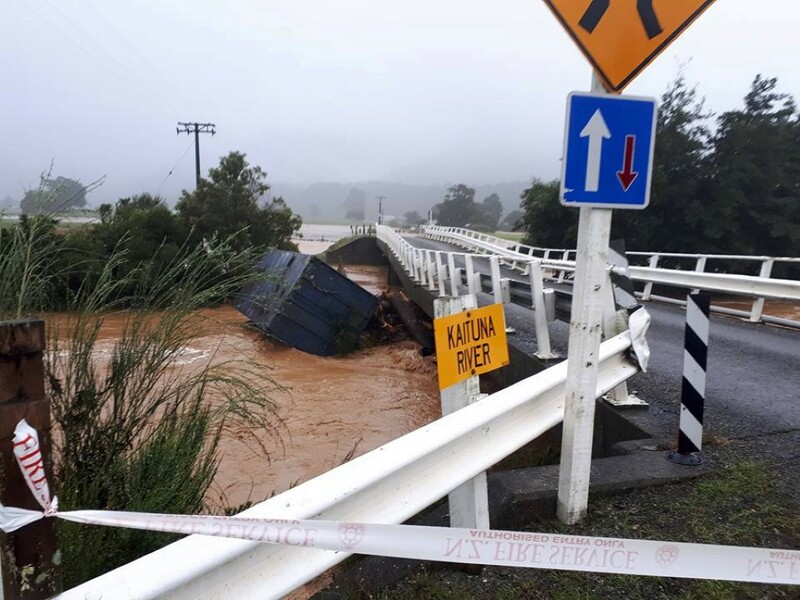 The state of emergency in Buller, Grey and Westland districts had been lifted on Wednesday morning but remained in placed for Nelson. In the South Island, SH1 remains closed around Kaikoura, there are flooding cautions for many areas, and snow fell on the Crown Range road linking Queenstown and Wanaka and on ski fields. More than 130 people had spent the evening in welfare centres in Takaka and Motueka after escaping flooding. Eighty were later escorted home in Takaka on Tuesday night, while 53 spent the night at the Motueka welfare centre. Those who remained in the Motueka centre would have to await an assessment of their flood-damaged homes to find out if they could return home. Tasman Mayor Richard Kempthorne said they had been concerned about coastal inundation but were fortunate there had not been a very high tide. The Takaka Hill road remains closed and Civil Defence says it will be several days until the road can be reopened to one lane. Firefighters were inundated with call-outs after the country battled with former Cyclone Gita, but South Island mayors say they dodged a bullet with little major damage. Between midday Tuesday and 6am Wednesday, Fire and Emergency received 1300 call- outs, mainly for flooded homes, fallen power lines and trees, a spokeswoman said on Wednesday. Buller Mayor Garry Howard says there was minimal damage to the district with only a few trees and "superficial stuff" affected. "Things didn't eventuate as bad as we were expecting," he said. Kaikoura was hit with heavy rain, closing both the coastal highway and inland route but Mayor Winston Gray said on Wednesday morning the "sun is shining". He said there was no damage to the township itself. "We've really dodged a bullet." Gita is now about 250km east of Canterbury and should continue to move away from the country, the MetService says. However, heavy rain is expected to continue in Dunedin and North Otago until late afternoon. In the North Island, parts of New Plymouth are without water after a large tree fell and destroyed a pipeline but the airport is open. All wind warnings associated with Gita are now lifted. Niwa warned today that the South Island could be in for more rough weather next week due to the remnants of Cyclone Kelvin coming from Australia. Record rains have swamped the northern West Australian town of Broome this week, dumping twice the annual rainfall on the popular tourist spot in less than two months, AAP reports. Tropical Cyclones Joyce and Kelvin, combined with a severe storm, have drenched the Kimberley. Bureau of Meteorology representative Neil Bennett says Broome has broken its annual record after receiving more than 1500mm of rain.